By virtue of the draft lottery, we know which teams will be picking one through four in the 2019 WNBA Draft. 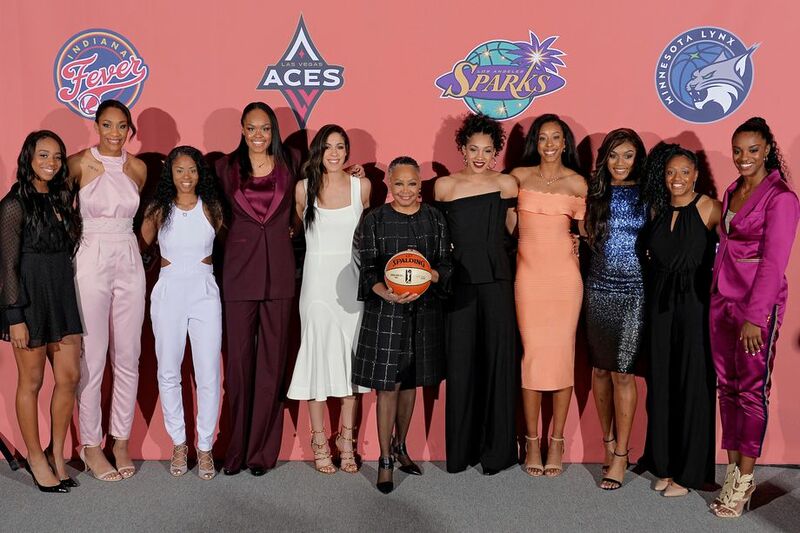 The Las Vegas Aces will once again pick first, followed by the New York Liberty, then the Indiana Fever, then the Chicago Sky. According to High Post Hoops, the Dallas Wings will have the fifth pick followed by the Minnesota Lynx at six. The Sparks, Mercury, Sun, Mystics, Dream, and Storm round out the first round. In the second round – one greatly impacted by trades, the Mercury have the first pick of that round followed by the Liberty, then the Sky, Lynx, Wings, Lynx again, Sparks, Lynx again, Sun, Wings, Dream, and Storm. The Lynx have three picks in the second round. The third and final round looks very similar to the first round and will see the Fever pick first, followed by the Liberty, then the Sky, then the Fever again followed by the Wings, Lynx, Sparks, Mercury, Sun, Mystics, Dream, and Storm. What is still to be determined is if the location for the 2019 draft will be different from that of last season’s. The 2018 draft – as a caveat of the WNBA and NBA’s Nike apparel deal – was held at Nike’s New York City headquarters and garnered better reviews than the location of 2017’s draft which was the Samsung 360 building.